Presenting the new Sainsbury’s Christmas Advert. 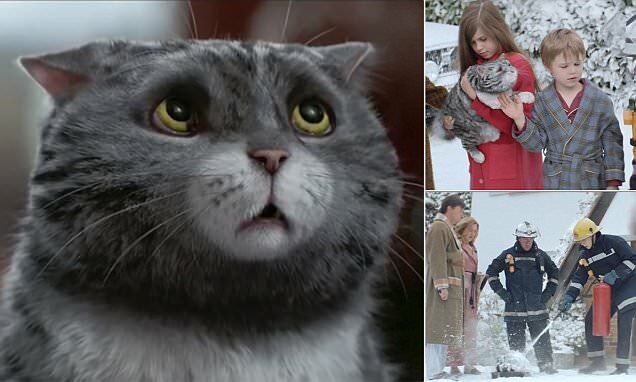 Mog sets off a chain of unfortunate events which almost ruin Christmas for the Thomas family. Can she pull it all back to save the day? This year, Sainsbury worked in partnership with HarperCollins Children's Books and world renowned author and illustrator Judith Kerr to create a Christmas story based on her much loved character Mog. We hope that families will come together this Christmas to enjoy this very special story. The ad is narrated by Emma Thompson. Below, Watch a behind-the-scenes film showing how the story of Mog’s Christmas Calamity came to life, all the way from sketch to screen.